They say that a dog is man’s best friend and here at A-1 Home Care we understand how special the bond can be between a pet and their family. Our special brand of In Home Care services does include pet care. If you family cat or dog is a big part of your life, please know that not only does A-1 Home Care respect and appreciate that relationship we can help you care for them in your home! Just be sure to let your case manage know about any animal friends in the residence and we are sure to find you a fellow pet lover to assist with all of your Caregiver needs. We recently came across a very interesting story through WebMD about how adopting a dog could actually lengthen one’s life! There was study conducted in Europe over more than a decade tracking 3.4 million citizens who did NOT suffer from any sort of heart disease. In this study, they found that those in the study who lived alone WITH a canine companion were actually 11% less likely to pass from heart condition and a whopping THIRD less likely to die from other causes when compared to those living alone without a dog. While there was no scientific determining factor, speculation suggests pet owners on average lead more active lifestyles which could account for some of the observations. Here stateside, medical experts seem to echo these sentiments. Dr. Satjit Bhusri of Lenox Hill Hospital in NYC says “Stress Relief through companionship has an inherit benefit to overall health, so it is not surprising that dog owners display a lower risk of heart disease”. A-1 Home Care has become the In Home Care provider across southern California with doctors, social workers, case managers and discharge planners for good reason. Established over 20 years, we are proud to offer flexible scheduling and payment plans to fit any budget! Our Home Care Professionals are available on an hourly, live-in or 24 hour basis and will ensure the safety and well being of your family (pets included!). We understand the special relationship between pet and owner and the positive impact animals can have in our lives and will treat you and yours with respect. Call us today to learn more about our range of services at 562-929-8400 or 949-650-3800. With Spring finally here, it is common that most of our senior patients want to get out of the house and go outside with our caregivers and/or with family and friends. This is something that A-1 Home Care prefers as well–for our seniors to get some relaxation and sun, if okay with their doctor, for the day. If our seniors are not in the mood to go for a walk or hike, we often encourage reading. Reading has been said to be one of the best relaxing hobby, allowing an individual to go at their own pace and, yes, escape reality for a bit. We highly encourage our Costa Mesa seniors to grab a book on their way, especially if they are going to the beach. Catching the waves and reading a book is actually much needed sometimes in life. Our twenty-four hour caregivers can also assist with reading, whether that is reading a loud to our senior patients or reading in silence together. For further details on what more that our agency can offer, then be sure to give us a ring at our Costa Mesa office (949) 650-3800 or you can visit our website at www.a-1homecare.com to locate your closest branch in neighboring cities. A-1 Home Care is an in-home care agency that provides top notch services to those who we are looking after. It is important that our caregivers go beyond for you. However, we also understand that you might want a break every now and then from staying indoors. And we support that as well! 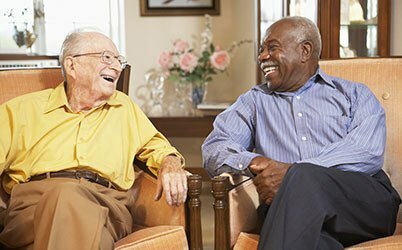 To learn more about our caregivers and the 24-hour service that A-1 Home Care provides, you can speak to one of our Costa Mesa representatives at (949) 650-3800 or you can visit our website at www.costamesainhomecare.com for further information. Private in home care is becoming increasingly accessible in Orange County and surrounding cities. With such competitive agencies in the area, it is necessary to find quality when searching for an agency that provides certified home health aides. Fantastic Health Aids are a Phone Call Away! A-1 Home Care in Costa Mesa strives to select the best caregivers in the area. Our focus is to ensure caregivers that will provide a quality of care that will far surpass your expectations. We understand the difficulty of finding a professional nurse aide that will connect with you and your family. Therefore, we take the proper steps to find a companion that will establish a relationship with those they care for. We provide certified health aides that work with a variety of ailments. This includes but it not limited to Alzheimer’s disease, diabetes, dementia, heart disease, memory loss, muscular dystrophy and osteoporosis. To learn more about how A-1 Home Care in Costa Mesa call us at (949) 650-3800 or visit our website at www.costamesainhomecare.com for more information. We serve in Costa Mesa, Irvine, Tustin, Huntington Beach, Fullerton, Anaheim Hills, Laguna Beach, Villa Park, Fountain Valley and other cities throughout Orange County. A-1 provides hospital sitters in Orange County for surrounding hospitals including UC Irvine Medical Center, Huntington Memorial Hospital, and Kaiser Permanente Bellflower Medical Center. We’ve often heard of the term “sandwich generation,” which describes a generation of adults sandwiched between caring for their elderly parents and their own children. There is a relatively new term called “tightrope carer,” which describes adults who have no children but are caring for their elderly loved ones. As these tightrope carers finance elder care for their parents, they become inevitably aware of the issues that will arise in their own future. Aging is an unpopular but necessary topic to think about, but A-1 Home Care makes conversation about elder care more comforting and reassuring. When you see the quality of care given by our wonderful caregivers, you can rest assured that A-1 Home Care in Costa Mesa will also take care of you when you need the help. What does A-1 Home Care offer? Lifting/transferring from wheelchair to bed to bathtub, etc. A-1 Home Care has been around for over 20 years, taking care of seniors and their families for generations in and around Costa Mesa. Licensed, bonded and insured, A-1 Home Care ensures the safety and quality of senior care your elderly loved ones will receive, and you can always look forward to chatting with a bright and cheerful customer care representative on the other end when you call our 24 hour hotline. Are you unfamiliar with advanced directives, long term care planning and other processes? Our care managers will help you navigate the complicated system so you can have a peace of mind. Call today for immediate relief (949) 650-3800 or visit our website www.costamesainhomecare.com for services in Costa Mesa and surrounding cities such as Yorba Linda, Fullerton, Anaheim, Irvine, Tustin, Orange, Garden Grove and Newport Beach. The cause of Parkinson’s disease, a debilitating disease of the central nervous system, remains unknown, but according to new research conducted by scientists at the University of Leicester in the United Kingdom, researchers may have found some clues. The traditional belief that loss of dopamine leads to Parkinson’s is being challenged by new evidence that stress on the endoplasmic reticulum (ER) is the key event (Cell Death and Disease, 2016). Researchers are not negating the validity of the traditional argument; rather, they are adding to the argument by saying that they discovered the reason why the brain stops producing dopamine and are developing something that could prevent stress on the ER. While researchers are developing a remedy or cure for Parkinson’s, there are ways to boost your dopamine levels naturally. But what is dopamine, you ask? It is a neurotransmitter that controls the brain’s reward and pleasure centers (Psychology Today, 2016). The more energy you pour into your favorite activities, hobbies and people, the more you increase your dopamine levels. Although no one exactly knows why the brain starts producing less dopamine (and researchers at best have come up with only theories), the least you could do is to do things that make you happy. Positive thinking plays a big role as well as diet; certain foods like avocado and chocolate can really give you a good dopamine boost. I already have Parkinson’s. Is there any hope for me? There’s always hope for anyone who has Parkinson’s regardless of the stage of disease they’re in. You or your elderly loved one can benefit from A-1 Home Care’s 24-hour Parkinson’s Care which enables people to live life to the fullest. Our live-in caregivers help seniors cope with symptoms of Parkinson’s, such as stiffness, slow movement, tremors, inability to stand upright, mood disorders, vision loss and difficulty with swallowing. The need for live-in care becomes increasingly important as Parkinson’s progresses, but our companion caregivers can motivate your elderly loved ones to participate in favorite hobbies that they otherwise would not do if a caregiver were not around. Call today for immediate relief (949) 650-3800 or visit our website www.costamesainhomecare.com for services in Costa Mesa, Tustin, Huntington Beach, Seal Beach, Newport Beach, Orange, Yorba Linda and other surrounding cities. Mitofusin-mediated ER stress triggers neurodegeneration in pink1/parkin models of Parkinson’s disease, I. Celardo et al., Cell Death and Disease, doi:10.1038/cddis.2016.173, published online 23 June 2016.